Everybody likes photography on a smartphone. Everyone wants to save their photos in their phone. If you ever deleted your photos by mistake, then what do you do? 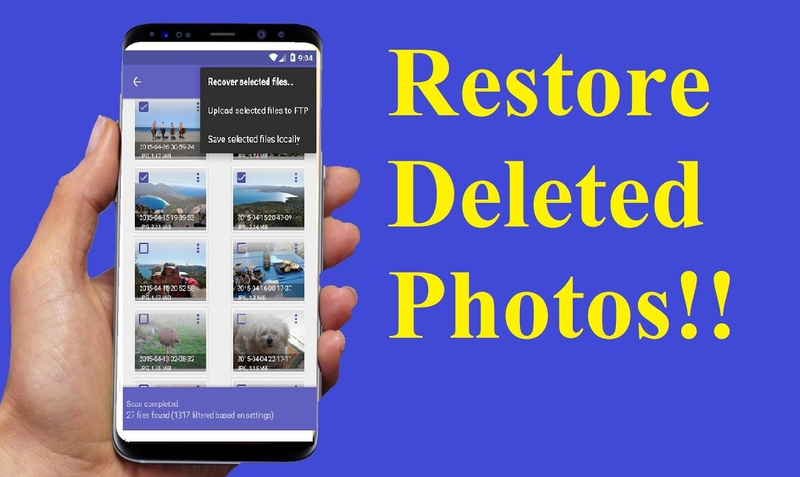 Today we are going to tell you a method that you can use to get your deleted photos back. You only have to do some work for this. With this help, deleted photos from your phone can be recovered and that is in just 15 to 20 minutes. In this we will tell you how to recover photos from your Samsung Galaxy S or Galaxy Note, Moto, LG, OnePlus, Sony and all Android devices. For this you have the Toolkit Android Data Recovery providing you with the best user interface from other toolkits in the market. This toolkit supports 6000 Android devices around the world. Let's see how to use this tool. First of all, download 'Android Data Recovery' and install it on your PC or Mac. it also supports MAC. Run the application on your PC and click on the "Data Recovery" option from all the options given. Now, you have to connect to the device from which you want to retrieve the photo via Data Cable. You may be asked to allow USB debugging mode, if you have not enabled it on your Android phones before. Now just follow the instructions below. Your device is now fully connected. Now you will see a window with many types of files, which can be recovered again. Deselect all and select only the 'Gallery' option. Now click on 'Next' to proceed. Now in this step you can see two modes, one is a standard mode and the second is the advance mode. For your first try, Standard Mode is recommended. Now, accept the warning message and click Next. The process of scanning has started now. This process will take some time to complete. Keep your device connected to the computer during this entire process. You will be able to see all the photos of your gallery as soon as the Scan process is complete. Click 'Gallery' on the left side of the menu. Now select the photos and click 'Recover' which you want on your Android device. 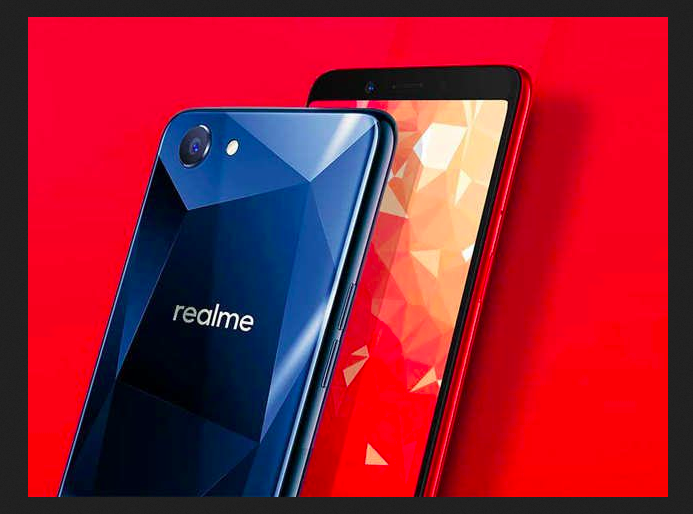 Hello friends, all the RealMe phones are considered to be the best in the budget smartphone market according to the design, specification and price and that is the reason. RealMe smartphones are very liked by the people and make their own place in the market. But no phone is perfect, we all know it and hence the phone has performance, battery, display or any other problem. Similarly, in RealMe phone, there are some such problems that the phone process gets slow or a sensor, software part does not work properly. In this case, we need to reset the phone and we will get information on Realme phone reset here. If you have Realme 1 or any other model and touch is not working properly on your phone or Realme phone is giving slow performance, then we can make it like before by smartphone reset, Phone will be like new. How To Reset/Format Oppo Realme Phone? All of its phones are considered the best phone in low price and it gave us the water Notch display at the lowest price. If you have any phone from it and there is a problem related to phone performance then you can reset Realme phone by following tips mentioned here. Note: If you want to reset your Realme Phone. So you can save all the data of the phone, photos, videos or all important data by transferring it to computer, MicroSD Card or any other phone. After that, let's Reset Realme Phone from Step below. If your Phone's touch is not working properly if your phone is hanging due to a software issue. You can reset the phone using the secret button. First of all, we have to switch off the phone. But you have to keep in mind that the phone's battery should be at least 60% so that the complete process can be completed correctly. After switching off the phone, we have to press the Power button and the Volume down button. Until you see the Realme logo. On our phone, the option to wipe data or factory reset will be to select the volume up and down button and then press the power button. Phone reset process will start as soon as we will select the option and we will have to wait for some time after which the phone will restart after the resetting process is completed. If your phone is slow or related to a battery related issue then you can reset it from the Phone setting menu and this is an easy way. Realme smartphone reset, First of all, we will have to save all the information on the phone and charge the phone at least 60%. Then we have to go to the phone's setting option. From the Setting Option you will go to General option. Click on the Backup and Reset Option in the General option. Click on the Phone Reset Option. The phone will restart as soon as the phone reset process complete. Hello friends, In order to get the Prime Service of America's largest e-commerce company Amazon, we have to pay about Rs 999 per month. But if you want to get free Amazon prime membership then you are at the right Website. We will give you information about such a way that you can get Amazon Prime account absolutely free and you can use it in different ways such as Entertainment, Shopping, Reading benefits. The name of the Amazon Prime membership is similar to the Jio prime plan. But there is no similarity between these two. If we get free Amazon Prime Subscription in the way we described here or we already have Paid amazon prime member. So we get some benefits as we describe below. If we are not an Amazon prime member (Amazon India) and order a product one-day delivery, then we have to pay 100 per delivery charge. But if we are an Amazon prime member (Amazon India), then we will always get one day or two day delivery free. About Amazon Prime Video, we know that we can see all the Bollywood and Hollywood movies here on Full HD quality which is even not on YouTube. With this we can see all the popular TV shows and Amazon Prime original shows (Web Series). Amazon prime video is free for all prime members i.e. this is part of the Free Amazon prime membership. If any kind of discount offer or sale comes to the Amazon website, then first of all, it is benificial to the prime members that some special products are only for the prime member. In this case, if you become a Paid or Free Amazon Prime member, then you can be in very much profit. You get Amazon Prime books and unlimited music absolutely free with Prime subscription. By the way we can get free Music on many apps now but there you will suffered from unwanted ads. In this way we can able to enjoy full ad free music from Prime Music. How To Get Free Amazon Prime? 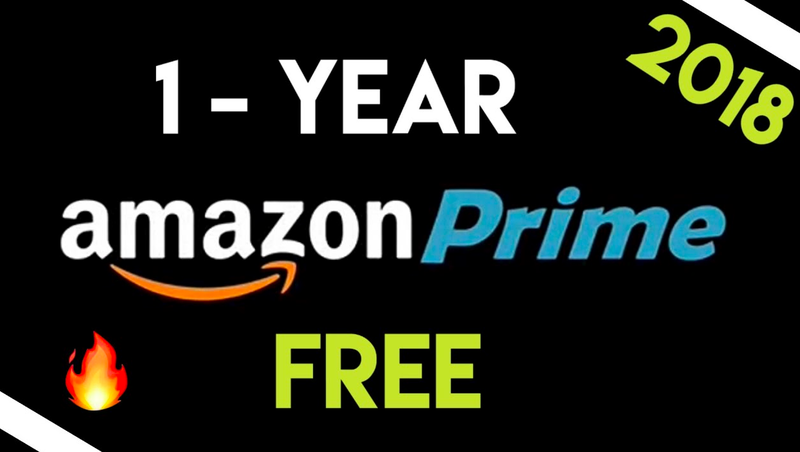 Free Amazon Prime subscription is not for everyone and nither it is being offered by Amazon. As we all know that because of Reliance Jio, any telecom operator can not execute any of his plan properly. That's why they are gonna launch some plan for short time, so that some people use their plan and this time Vodafone, Airtel or Idea, but Bharat Sanchar Nigam Limited (BSNL) has launched such a Interactive plan. Some BSNL users will be given free amazon prime membership under this plan of BSNL(Limited Time). But there are some terms and conditions Available and those who come under it They will get the benefits of this plan. BSNL offer with free amazon prime subscription will be available only for those users who have a BSNL Postpaid SIM or broadband. If you have a BSNL Postpaid SIM then you have to recharge Rs 399 or more then you will get free amazon prime membership for 1 year. If you have a BSNL broadband service, then you will have to recharge 745 rupees or more then you will get amazon prime free subscription. If you have already recharged, you can claim the subscription by going to the BSNL website and clicking on the Amazon offer. To claim, you will need to generate an OTP by entering your BSNL number and validating it. If you have recharged according to the given terms and condition then you will find Amazon Prime Video, Amazon Same Day, One Day Delivery, Prime Music and Prime Book subscriptions for 1 year. Friends, if you are a BSNL user and use postpaid or broadband, you will get the best opportunity for you to get an Free Amazon Prime subscription of Rs 999 for free. Ha! The BSNL Customer care can tell you exactly what you will get in the recharge plan. If you have any suggestions about Free Amazon Prime membership then you must comment. Thank You. Friends Google is the world's largest search engine. In the world millions of people search on Google for their work, entertainment, business and so on. Many people usually use it in a simple way that means they are unaware of its many attractive features. 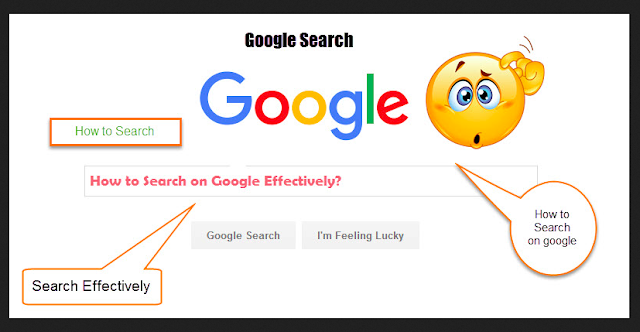 Today we will give you some of these Google search tips and trick that will be very convenient and helpful for you. If you are searching for a specific topic and you know that this content will be found within this website, then first of all, we go to Google search and write the site and give the colon and insert the url of that site then you want to search He has written the content. Now you can search your content on any of your favorite sites like this. With this tremendous feature, you can easily enter the other site related to your favorite site if you have a daily site that you visit every day and if you open another site just like this, then you just have a little bit of Google It is important to know a lot. Friends, for this you are going to Google search Related: abc.com instead of the abc, type the site you are searching for. Are you Enjoying Google search Tips if yes then share it with your friends. Guys, you will no longer have to search long to find the definition of a word. Only by typing "define:" in the Google search box, you will find the word definition that you are looking for. Now you do not have to Search a lot for Restaurant. You just have to go to Google and search restaurant near me. Google will check your live location and give you all the restaurant search nearby. Guys, if you like to travel more for work or for walking then this feature of Google will work for you. You can check the estimated time between the two places. Example: - For this, you have to go to Google search and search travel time between Mumbai to Pune. Guys, you are searching for something on google and if you want to use calculator, you have to put a calculator on the Google search box. It's done now you can use the calculator on this. How do you like these posts, let us know and comment! If you have any questions related to Google Search Tips , then type your question in the comment box below. Will try to answer your questions as soon as possible. Supreme Court had clarified that it is not mandatory to link the Aadhaar card with a bank account, SIM card and digital wallet. Before the Supreme Court's decision, you would have surely linked the Aadhaar card to Paytm. Today, we will inform our readers about how you can get the Aadhaar card Delinked from Paytm at home. Let's see detailed information and some key steps for Delinking the Aadhaar card from Paytm. To delink the Aadhaar, first you have to call Paytm Customer Service (Customer Care) on 0120-4456456. After connecting the call Follow the instruction according to the instructions given. After this, ask the customer service officer to delink Aadhaar card from the Paytm Account. The Customer Service Officer will ask a few questions to know your identity. Please tell your email ID before cutting a call. You will receive an email after answering all the questions. In email, you will be asked to send a photo of the Aadhaar card once more. Within 72 hours of sending the photo, the Aadhaar Card will be delinked from Paytm Account. 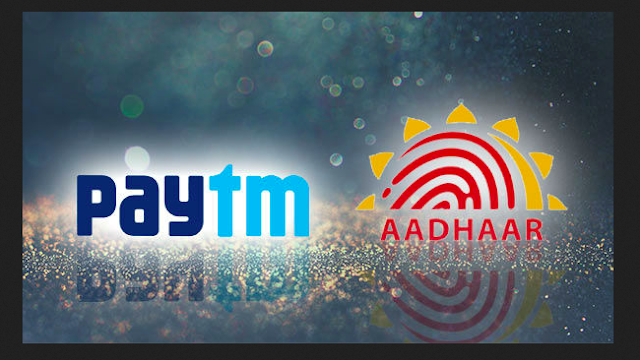 We told you how to delink the Aadhaar card from Paytm. But in the current time you will have to face some problems. As soon as your account is linked to Aadhaar card, the account will remain Invalid. In such a situation, you will not be able to transfer money from any other person vai Paytm. This means that you will once again need to verify your Paytm Wallet for which PAN Card, Voter ID Card, Passport Number, Driving License and NREGA Job Card can be used. But this facility is not working smoothly. A Customer Service Officer (Customer Care) from Paytm told us about the process that other documents for the KYC are not yet being accepted. We are working on that. In such a situation, we would suggest you that you consider linking the Paytm account to the Aadhaar number. Apart from this, it is ridiculous to ask for a picture of Aadhaar again, because we want to get rid of this problem.